William Rigg was born in Liverpool, England. He came to Sydney with his Scottish parents as a child and went to school at Christ Church on Pitt Street, where he was the first student to win the T S Mort Scholarship. He married Elizabeth Gregg on 17 September 1873 and had six children. She died in 1883. On 15 December 1885 he married a second time to Harriet Westbrook in Brighton, England. They moved from Petersham to Port Hacking in about 1915. Harriet Rigg, their daughter, and his two sons and a daughter from his first marriage survived him. He died on 3 November 1926. William Rigg was director of a number of companies, including the Clyde Engineering Company Ltd, the Illawarra Steam Navigation Company, the North Coast Steam Navigation Company and the British Dominions General Insurance Company. William Rigg was Honorary Secretary, Vice-President and President of the Deaf Dumb and Blind Institution. He was an elder of the Newtown Presbyterian Church. He was also president of the Victoria Park Bowling Club for 18 years. He was associated with the YMCA and the Highland Society. Rigg was Liberal Member of Parliament for Newtown-St Peters from 1894-1901. William Rigg was an alderman on Newtown Council in 1890-1913, representing Enmore Ward. 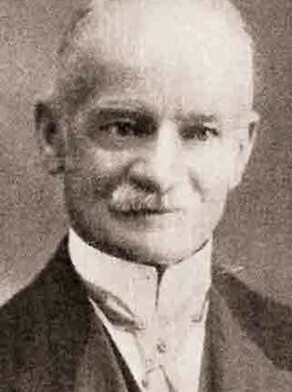 He was mayor in 1892-94, 1898 and 1911-12. John Atchison, ‘Rigg, William (1847–1926)’, Australian Dictionary of Biography, National Centre of Biography, Australian National University, http://adb.anu.edu.au/biography/rigg-william-8212/text14369, published first in hardcopy 1988, accessed online 25 November 2015.